Stay timeless with Colorbar Timeless Filling and Lifting Compact. Enriched with hyaluronic acid and vitamin E, this silky compact hydrates your skin and fills your fine lines, while giving you a boost of anti-ageing and antioxidant properties. Its UV filters protect against sun damage, and its non-comedogenic formula is suitable for anyone looking to be forever flawless. Explore the entire range of Foundation available on Nykaa. 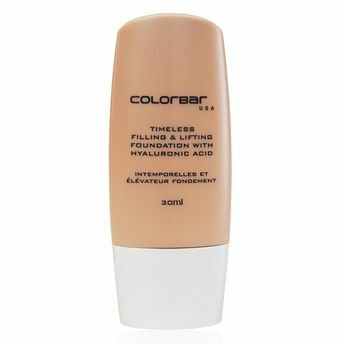 Shop more Colorbar products here.You can browse through the complete world of Colorbar Foundation .Alternatively, you can also find many more products from the Colorbar Timeless Filling And Lifting Foundation range.